For two days only this March, Yu-Gi-Oh! The Movie returns to movie theaters across the nation at select locations. 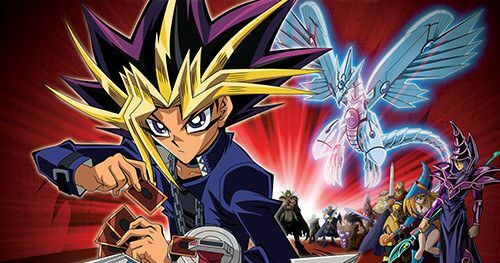 The digitally remastered version of the 2004 anime box office hit was inspired by the internationally popular Yu-Gi-Oh! Trading card game, manga and TV series. Presented by Fathom Events and 4K Media Inc., Yu-Gi-Oh! The Movie will have special showings on Sunday, March 11 at 12:55 p.m. and Monday, March 12 at 7:00 p.m. (all local times). This comes just a few weeks after Fathom Events brings back the classic Jim Henson movie The Dark Crystal back to theaters on February 27 and 28. In addition to viewing the full-length anime feature, moviegoers will be treated to a sneak peek of the first episode of the sixth Yu-Gi-Oh! anime series, Yu-Gi-Oh! VRAINS English-dubbed premiere. Tickets for Yu-Gi-Oh! The Movie can be purchased online by visiting the Fathom Events website or at participating theater box offices. Fans throughout the U.S. will be able to enjoy the event in nearly 800 select movie theaters through Fathom's Digital Broadcast Network (DBN). A complete list of theater locations is available on the Fathom Events website (theaters and participants are subject to change). In Yu-Gi-Oh! The Movie, a heroic Yugi squares off against archrival Kaiba in an adventure even more dangerous when the imaginary monsters in their playing cards become ferociously real... and when an old evil enters the fray. Who will win this ultimate smackdown? Whether you're a novice Duelist or a professional, you'll want to watch and find out! The duels, strategies, lore and flat-out fun of the hottest trading-card game around supercharge this first-ever movie inspired by the popular Yu-Gi-Oh! games, comic books and TV series. Here's what Fathom Events VP of Programming Kymberli Frueh had to say in a statement. "Anime titles continue to draw passionate audiences to cinemas nationwide. We are proud to partner for the first time with 4K Media to bring Yu-Gi-Oh! The Movie back to big screens across the country for a new era of fans to discover and enjoy." Fathom Events is the leading event cinema distributor with participating theaters in all 100 of the top Designated Market Areas, and ranks as one of the largest overall distributors of content to movie theaters. Owned by AMC Entertainment Inc., Cinemark Holdings, Inc. and Regal Entertainment Group, Fathom Events offers a variety of one-of-a-kind entertainment events in theaters such as live performances of the Metropolitan Opera, top stage productions including Newsies! The Broadway Musical and George Takei's Allegiance, major sporting events such as Mayweather vs. McGregor, epic concerts with artists like Grateful Dead and Dixie Chicks, the yearlong TCM Big Screen Classics series, inspirational events such as Steve McQueen: American Icon and In Our Hands, and beloved anime titles like Princess Mononoke and Spirited Away. Related: CONTEST: Win huge prizes from Yu-Gi-Oh: The Movie! Fathom Events takes audiences behind the scenes for unique extras including audience Q&As, backstage footage and interviews with cast and crew, creating the ultimate VIP experience. Fathom Events' live digital broadcast network ("DBN") is the largest cinema broadcast network in North America, bringing live and pre-recorded events to 897 locations and 1,387 screens in 181 DMAs. For more information, visit FathomEvents.com. Take a look at the new poster for the return of Yu-Gi-Oh: The Movie to the big screen, along with the original trailer below.